Dr. Barker was featured on Live at Five Friday, October 19th. 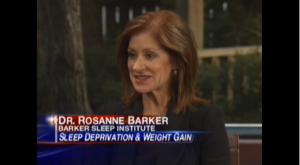 Interview was conducted based on the topic of how “less” sleep can wreak play on your fat cells, eventually leading to weight gain and type 2 diabetes. For the complete article and video please click on the link below! See the WBIR video and article.